I’ve raved about the awesome awesomeness of Mass Effect 1 and 2 before. And recently I finally finished the third and final installment in the Bioware/EA series, Mass Effect 3. So how did I do? Let’s just say that by the end of the game, I had couples naming their offspring after me. I can safely say that the Mass Effect series by Bioware is without a doubt THE BEST videogame I’ve played to date. I’m a writer, so it should be no surprise that one reason Bioware games rock my world is the writing. The game designers really understand invoking the realism of these virtual places. The concepts. The situations. The different races, and their homeworlds. 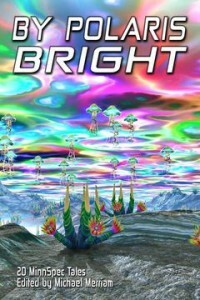 Here on Terra Firma I find politics about as interesting and useful as theoretical calculus, but I was really intrigued by the motivations and goals of the different races, and especially when those goals were conflicting. An overall theme of solving our differences so together we can focus on larger issues is always a timely one. Yeah yeah, the ending was a disappointment for me, and a disaster for others, but don’t believe the hate. The five-minute lukewarm ending is not bad enough to ruin over a hundred hours of awesome gameplay. The writers at Bioware understand that RPG gamers enjoy a difficult decision just as much as a difficult headshot. Negotiating a dangerous conversation can be as rewarding as a firefight in a warehouse full of Brutes. Bioware knows how to write tough decisions into their game plots. Jade Empire, Neverwinter Nights, and Dragon Age are other examples of Bioware games that put you into situations with no easy way out. No “right” or obvious answer. No clear-cut Good or Evil, but shades of grey. No idea how your decisions might pan out or the repercussions that might haunt you later. You’ll be saving your game ALOT. In Mass Effect, the decision-making aspects of the game were amplified three-fold. Decisions you made in each game carried over to the next game in the series. Major decisions affected the world in different ways. If you decide to kill off the last of an alien species, knock boots with a hot crewmate, or side with one resource over another, the next game in the series will carry over those decisions and all the repercussions that come with them. While it ain’t quite Skyrim as far as open-worlds go, (and even open worlds ain’t exactly as ‘open’ as we’re led to believe,) it’s still weapons-grade Role-Playing Game material. You’ll want to pause your computer and think before making some choices, and you’ll want to save often so you can take back your promises and ‘unscrew’ your crewmates! 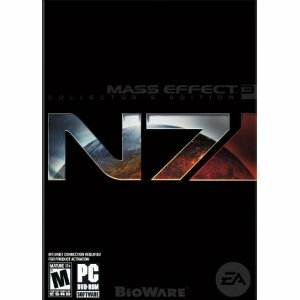 Bioware Game Hint to Overcome the 50 saved games limit (PC only): You only get 50 game saves in Mass Effect and Dragon Age. When you hit the limit, simply close the game, then copy all but the newest of your saved game files to another folder, and restart the game. Presto, as many saved game slots as you need! 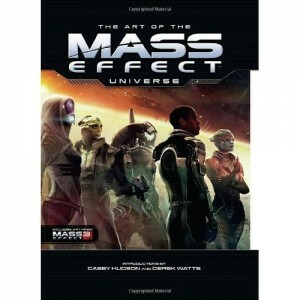 The book The Art Of The Mass Effect Universe really shows off the quality, consistency, thought and talent that goes into making the game look amazing. And when you consider just the stills from the game are artwork, the actual game itself is that quality on Red Sand. You’ll get more than your fair share of lovely, multi-planet vistas, and more types of terrain than you can shake a Tantalus core drive at. I’ve said it before, but Video Games are the path that leads us to the holodeck. Movies going 3-D? Feh. Games have interactivity, and that’s the key. And so far, no one can touch Bioware for the number of epic cutscenes that make you feel like a real hero in an interactive movie instead of a nerd playing a video game. If sci-fi ain’t your thing, then try out Dragon Age 2, which deals out the same high level user experience and cut-scenes galore, plus intuitive, interactive gameplay.